Retirement is hard on anyone, when special forces operative Alex decides to take a step back from the intense life of the battlefield it’s a simpler life caring for the elderly in the nursing field until one-day, things take a hard turn. Intensive Care puts Alex our central character into the life of an in-house nurse for a slowly dying elderly woman. One day things change-up from the usual routine as Danny, a seemingly entitled and broke grandson appears into the fray hoping to check on their health and see how close they might be to shoving their way in for a chunk of the wealth. While past nurses may have fallen under his charm, Alex is an entirely different cut of cloth but it’s not something she tends to flaunt around. It’s a tale as old as time, a bratty relative comes back into the fray, expects the world to fall at their feet when that fails they orchestrate a hostile plan of action. Okay nevermind, that’s pretty exclusive to this situation specifically, Danny has a hard time taking no for an answer and that leads to some very foul play all around. Thankfully this mashup of nursing and special ops play comes together well as the film teases skill sets and bits of action to build up Alex leading up to the conflict. Instead of rushing to scene after scene of action, it’s paced with reasonable breaks and development. 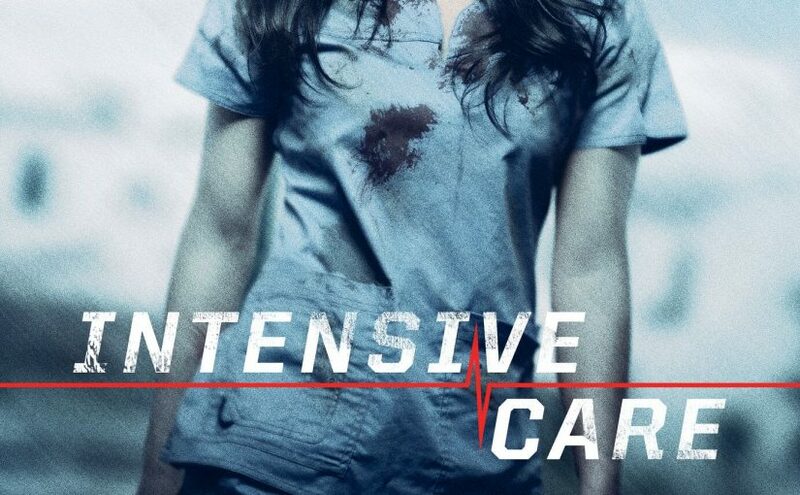 Some films can’t really set up a strong narrative with choreography to develop the experience, we see Intensive Care actually balance that workload, giving time to fight scenes without feeling generic and bland or relying on rough prop execution to oversell a moment. Given the nature of Alex, it’s natural that she’s going to essentially play with her prey a bit and in a single moment, end the entire fight in a swift stroke which fits the execution. The general camera work is clean, the camera motion is kept to a minimum, lighting feels organic and even in the transition from day to evening, there’s an attention to detail to keep a consistent presentation without overdoing it. Fight scenes have a smooth transition to showcase the action and tension in the room, not falling flat to a single position and angle that keeps the immersion running. The team does good work to keep the momentum with a modern pacing, not attempting to get absorbed into too many motion effects or complex moments. The bathroom scene is actually a solid representation of that in the movie. Audio and soundtrack play a vital role, selling action moments as glass breaks, heavy objects clash and tense moments between criminals and Alex build. There’s a nice presentation of ambiance to the household as voices don’t completely sound like they’ve been handled in post-production sitting in a studio lacking any atmosphere or reverb from the room. There’s warmth, echo and a genuine appeal as the sound develops from room to room with variations in-depth throughout. 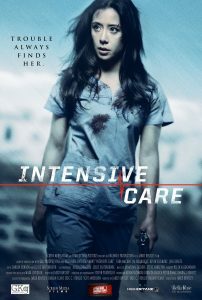 Overall, Intensive Care is a fun action film, running just over an hour with a good base premise to grab viewers and solid action moments to bring entertainment. Tara Macken does a great job holding up the film as the lead and bringing the fight scenes to life, lending experience and enthusiasm to help create tense moments without feeling stiff and bringing emotion to the moment throughout. The cast and crew round out the film with a higher production value on the film while still having moments to play with the audience here and there. Hot on the heels of an asylum revolt, mass death and new adventures in persona extraction and development we return to dear Doctor Freust. Inmate Eleven has had a fun time playing real mind games using telepathy and other means of terror to inflict trauma. Not one to sit out a fight, Freust rises to the challenge, spinning with new ideas for this last bout as Malefic draws to a close. The final issue packs a punch, Freust has to face her greatest fears and overcome the one patient that has eluded her. How does one fight the devil when mortal concepts and creations have failed? When facing what appears as pure evil, where is the line? Is there even a line? It’s a thing with this issue, and eventually one has to weigh the greater good or at least a good nights rest vs the eternal torture that would otherwise follow. Dan Schaffer wraps up a very disturbing season of Malefic with a bang, bringing Freust to the top of her game, showing her personality shift to finally shine in this pit. She’s seen thugs and violence, danced with psychic combatants, and poked into the minds of every inmate there only to take a few stabs at fixing things. She’s battle-hardened at this point, each challenge meant to break her very being but instead making her let go of that past life, piece by piece. David Miller shines in the final pages of this series or at least this first volume. Bringing everything to life with intense gestures, contorted bodies, and expression, the rage and action filling the pages. Looks of dread and terror dominating with intense contrast, with so much going on and the stakes at their highest, Miller brings it home for Malefic. For those following Freust’s doll experiment, there’s no shortage of high-quality gesture and feedback. The final showdown pages with Freust and Eleven are priceless, the darkness wraps around the pages and brings these characters to their prime. Malefic isn’t for everyone, but for those looking to explore supernatural challenges that completely break the norm it’s a must read series. For those on a budget, the whole series is also wrapped in a single volume option now. 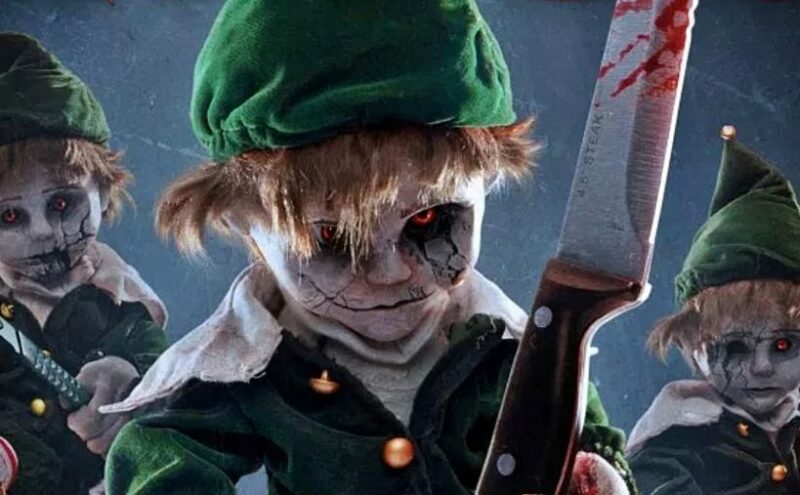 It’s next level macabre with horrors and moments that make it a thrill through the pages to see what happens next and how bad things can keep getting. For those looking to find the perfect little horror comic for that one special someone, this should do it. Really, it’s damaging in a beautiful way. Throwback films to the old detective noir era are always interesting, mixing what was essentially a simpler era with modern technology while still trying to have the same atmosphere. Clyde Cooper is the latest film to take on this tricky formula, putting itself in the near future and pitting a gumshoe detective against untraceable figures and mob-style opposition. We see Clyde hit the ground running with a classic case, trying to trace some steps on a basic missing person and finding himself tumbling down a rabbit hole of trouble. For all it’s challenges Clyde Cooper delivers a simple and effective storyline with enough twists to keep it going. Just when one angle seems more or less the case, another clue drops, Clyde gets a new idea and the movie rolls with it. The device is active just enough for the film to not seem overly repetitive. As it does pay homage to this detective era, there’s flirtation, smooth talking, and general suave attitudes for all. For those unfamiliar, it might not have the fastest pacing but it is about the way it goes, dramatic moment, sudden interference or obstruction and try to find the trail again. 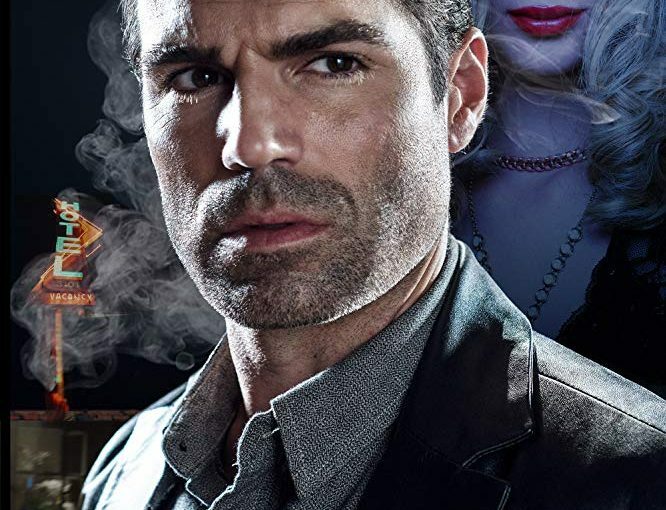 Jordi Vilasuso does his best to play it cool and calm, often throwing in pickup lines casually and playing them off innocently. While the smooth voice is an interesting change, it never really deviates in emotion, it’s awkward for the character as it robs it of some depth as everything is just constantly okay. Outside of the suave design of Clyde, there’s pretty much the vaping which replaces nervous cigarettes or cigars while they think and drink on the case. There’s almost too much mystery as to why he’s that calm in any situation. A troubled breath, hint of deeper fury would have gone further to develop Clyde more. That said, overall Jordi and the cast do well with the film and at least keep a consistent bar, it’s a weird case, to say the least. For a detective that seems to like to keep it as simple as they can, it just pushes them well out of comfort. At just over an hour the film is pressed for storytelling but the cast gets through it without a hitch while also staying close to form as a classical mystery. In the technical realm, the film plays out well, the depth of field creates a more immersive effect and the use of multiple camera angles helps give a fuller presentation vs a single camera setup. The audio mastering in public scenes has nice value with depth and atmosphere, letting the sound team enhance key moments with simple and eerie tones just at the right time. Lighting allows play between key characters, moments, and the background characters so nothing just goes into obscurity. Detective stories are a challenge, reproducing those moments of the era with new technology available really makes for a troubling case. A detective doesn’t have to just go head to head with everyone on their suspect list necessarily and guessing games about prints or DNA are less likely to happen with accurate tools out there. Still, Clyde Cooper works to minimize the reliance on pure technology and goes back to snooping, rough Q&A, and having bad guys get lucky with the drop on him. For fans of tributes to the era, it’s a fun way to pass some time while still offering some fresh takes.